The birth of a baby is one of those wonderful miracles of life. Yet it is a complicated and delicate process. Half a million babies are born prematurely, and associated symptoms often occur alongside in this patient population: low birth weight, heart problems, infections, and birth defects. It is at this time that researchers, manufacturers, hospitals, clinics, and health care providers must work together to tackle this problem. As it stands, the global NICU equipment market is valued at around $6 billion. That number is expected to double in the next six years. The impetus behind this prediction is the rising occurrence of premature births, and products such as infant warmer devices and transporter incubators have been growing in popularity among health care providers. Below is some equipment that is vital to NICU. 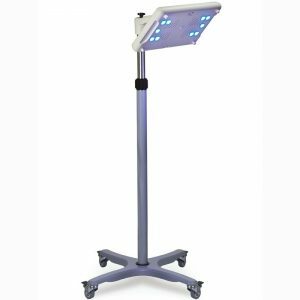 GE Lullaby LED Phototherapy System: Recent research suggests 85% of preterm babies will develop severe jaundice, the yellow appearance of the skin that is caused by the build-up of unconjugated bilirubin in the blood. This unconjugated bilirubin can cross the blood-brain barrier and create life-threatening neurotoxic effects. A phototherapy system is designed to safely combat the rise of unconjugated bilirubin levels. Dräger Babytherm 8010 Warmer: As long as a neonate remains critically ill or unstable, he or she should be kept on a warmer bed with thermoregulation in mind. This allows health care providers accessibility for resuscitation or procedures without jeopardizing thermal stability. A warmer provides the caregiver the peace of mind of even heat distribution at all times, especially during a newborns most critical time. NK Medical NB-SSxDC Bassinet with Drawer and Cabinet: After an infant has made it from a warmer bed to the incubator, the next step is to move the infant to a transportation vessel; the eligibility criteria for an infant to make a move from a warmer bed is that the infant reaches 1700 to 1800 grams and shows little respiratory distress. The bassinet should be strongly considered as it is the safest and most reliable way of moving infants. 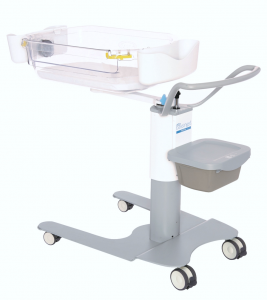 GE Halo Bassinest: Some doctors and moms prefer different configurations to their bassinet. In addition to the safety features that most bassinets offer, you may find that this bassinet can retract its walls and swivel 360 degrees, offering added flexibility and convenience from thoughtful design. B Braun Bodyguard 545 Colorvision Epidural Infusion Pump Kit: For women in labor, a more positive birth experience can be achieved by reducing the discomfort of childbirth. Epidural anesthesia provides pain relief, and can also help deal with fatigue and irritability. 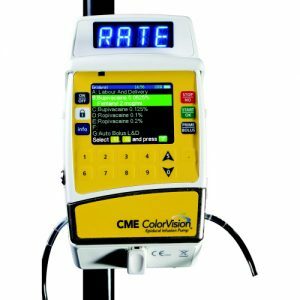 Recent advancements in this tool allow it to assess patient status and saves time and worry when it comes to administering automated or customized drug doses. 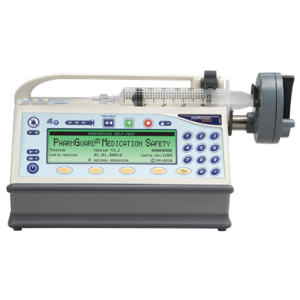 MedFusion 4000 Syringe Infusion Pump: Miscalculation when administering drugs- just one decimal place off- can prove fatal. In acute care settings, a syringe infusion pump is necessary to confirm your dosing calculations when making critical decisions and to minimize disastrous errors that could cost money and lives. 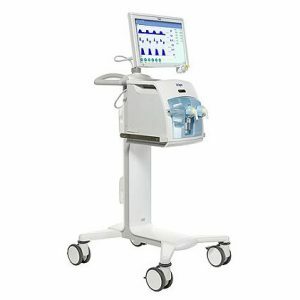 Drager Babylog VN500: Providing respiratory support is an incredibly important component for sick or preterm babies. As you may already know, the aim is to provide adequate gaseous exchange for a newborn without any significant long-term damage to the lungs. Equilibrium is critical, and mechanical ventilators should always be ready to provide this. 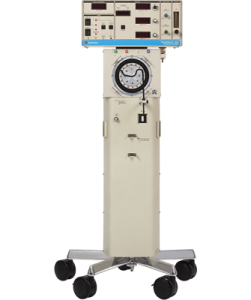 3100 A Sensormedics: Sometimes it is necessary to use a high-frequency oscillatory ventilator, which provides higher breath rates than normal physiologic breath rates, to prevent acute lung injury or acute respiratory distress syndrome. It also provides “rescue” therapy when first-line ventilation strategies fail to work. 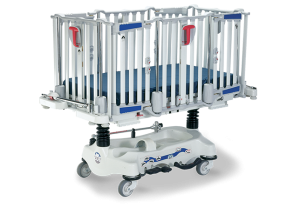 Styker Crib FL 19: Pediatric cribs are often overlooked in the NICU. 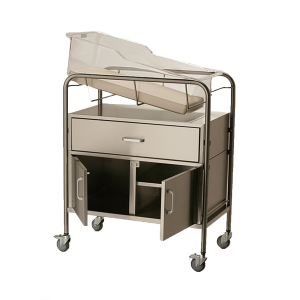 Safety, mobility, versatility, and space are some of the core components that hospital cribs should have built-in. 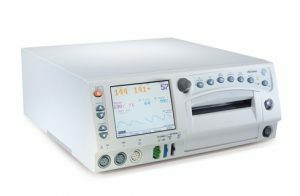 GE Corometrics 259 Cx: A fetal monitoring system provides doctors the comfort of knowing that the vital signs of baby and mother- such as heart rate, oxygen saturation, and temperature- are accurately measured. Ultimately, it allows healthcare providers to get back to patient-focused care. Our equipment is there for more than to simply improve the cost-effectiveness of hospitals. 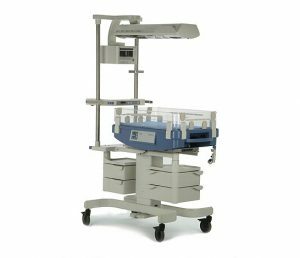 The equipment is there for the baby; newborns are monitored continuously for a variety of metrics, including vital signs and when to feed the baby, and the equipment makes these tasks possible in a NICU. The equipment is also there for the mother; with so many things to monitor to ensure the well-being of the baby, it allows a worried mom to pay attention to her needs and her family’s needs as she continues to recover from bearing her new baby. Finally, the equipment is there for our partners- the hardworking nurses and doctors that deliver the babies: it is essential for NICUs to have the highest standards in equipment for the most genuinely caring teams of professionals out there. U.S. Med-Equip is there to support this priority every step of the way.